Feature There’s nothing particularly clever about most smart TVs. 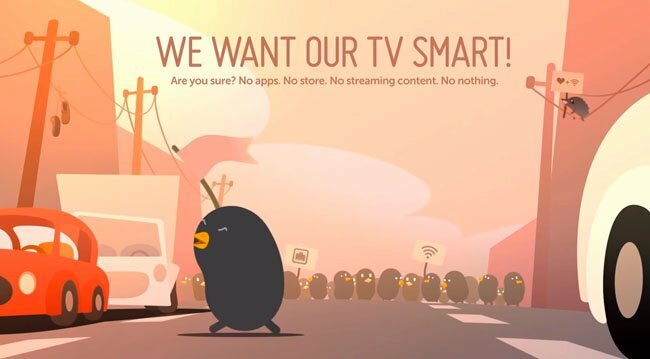 While their Internet connected functionality is undeniably useful, the user experience is clunky at best, with apps and streaming services typically kettled away from everyday operation. But LG’s webOS connected platform is different. Debuting on around 70 per cent of the brand’s 2014 connected sets, it effectively reinvents the Smart TV experience. The aim, hypes LG, is to make TVs simple again. 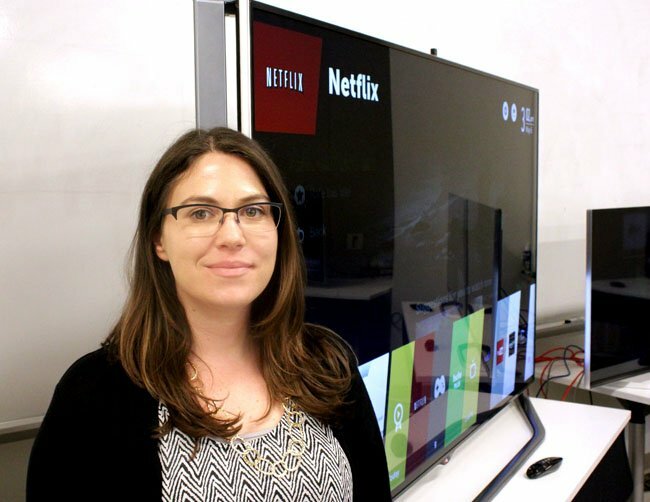 To learn more, we took the brand’s 47-inch LB730V Full HD flatscreen for a test drive and talked to the Silicon Valley software team responsible for developing the platform. 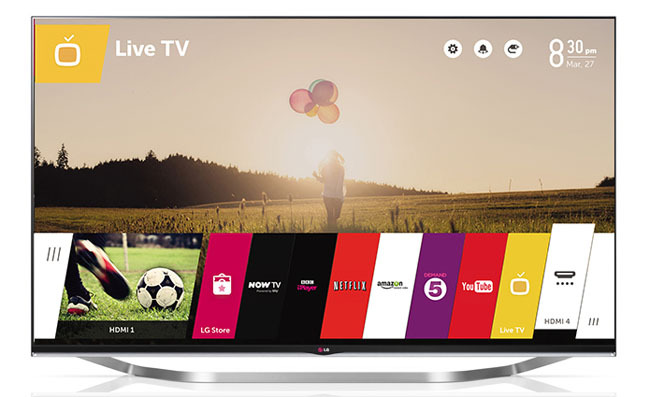 While this featured screen is an £899 mid-ranger, you can get webOS on everything from the entry-level 42-inch LB700V up to the 84-inch UB980V Ultra HD flagship LED panel. It’s not yet on LG’s OLED offerings, but they’ll come later this year and you’ll even find it on some John Lewis branded LED sets made by LG. The screen itself is agreeably svelte, with a fashionably thin bezel, stylish metallic edge trim and ribbon stand. Connections include three HDMIs (with ARC and MHL support), a trio of USBs, Ethernet, plus legacy SCART and component/composite inputs. Wi-Fi is built in. There’s a choice of Freeview HD and DVB-S satellite tuners. The model is also available in 65-, 60-, 55- and 42-inch screen sizes. 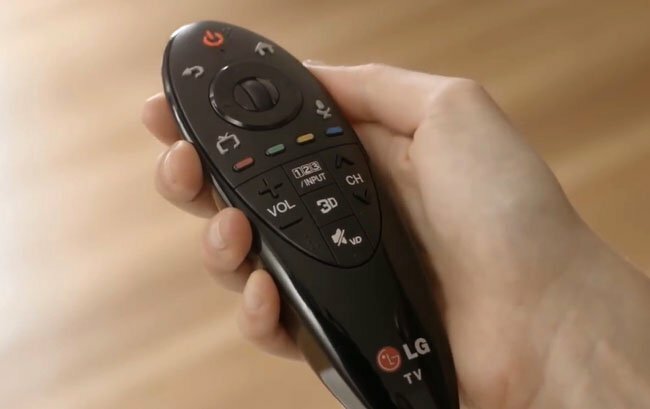 Two remotes are supplied, a standard IR doofer and LG’s Bluetooth Magic Remote. Offering cursor-pointer control of the set, the latter transpires to be the ideal way to navigate the webOS UI. The picture performance of the 47LB730V is generally crowd pleasing. HD images are appropriately dynamic and enjoy vibrant colour fidelity. The set doesn’t quite do a deep black and the edge-lighting draws a little too much attention to itself, but this isn’t uncommon in this class of LED. Picture performance can be considered good then, but not the best reason to buy this set. So what makes LG’s Smart+ webOS so compelling? Ultimately, it’s a superior user experience. From the friendly set-up, which uses the brand’s animated Bean Bird mascot, to the eye-catching candy-striped Launcher bar, there’s a delicious cohesion to its execution. Even the choice of fonts (a combination of Miso and Museo) is uniform. This smart platform has been properly designed, not just bolted together like some net-connected Frankenscreen. 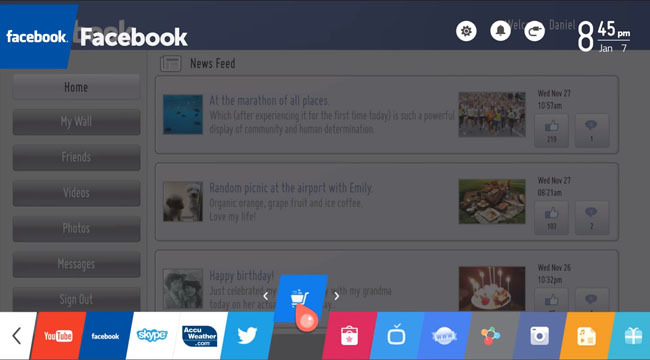 The Launcher offers quick access to the likes of BBC iPlayer, Amazon, Netflix, Demand 5 and Now TV. 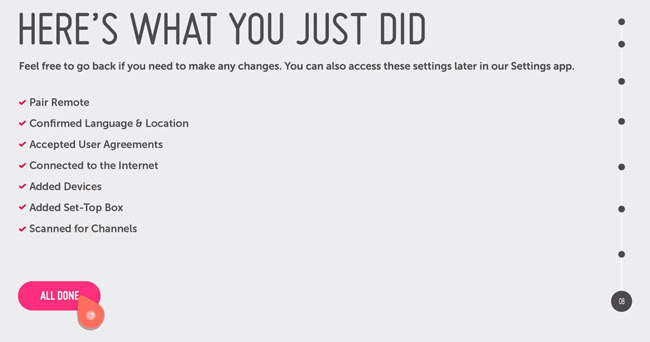 You can customise the order of apps and services as appropriate. If Screen Mirroring is important to you, just drag it to the front of the line. LG acquired webOS lock, stock and barrel from Hewlett-Packard a year ago. Originally a mobile platform devised by Palm, LG had been working with HP to develop a TV version when the opportunity arose to acquire webOS outright. The new operation, located in the heart of Silicon Valley, has given the Korean brand an opportunity to rethink its approach to connected consumer electronics.